Sciatica refers to pain owing to sciatic nerve irritation. When the sciatic nerve is irritated, it can cause various levels of pain from moderate to much more severe. The term sciatica is often confused with back pain in general but it does not only affect the back. The most common cause of sciatica is a herniated or slipped disc. The sciatic nerve runs from your lower back or lumbar through your buttocks and down your legs to a point just beneath the knees. It is the longest and the widest nerve in the body. Sciatica is not actually a condition but a symptom of other problems related to the sciatic nerve. Sciatica is a fairly common problem with around 40% of people experiencing it at some point during their lives. Sciatica can occur at any age but is more common in people over the age of 40. 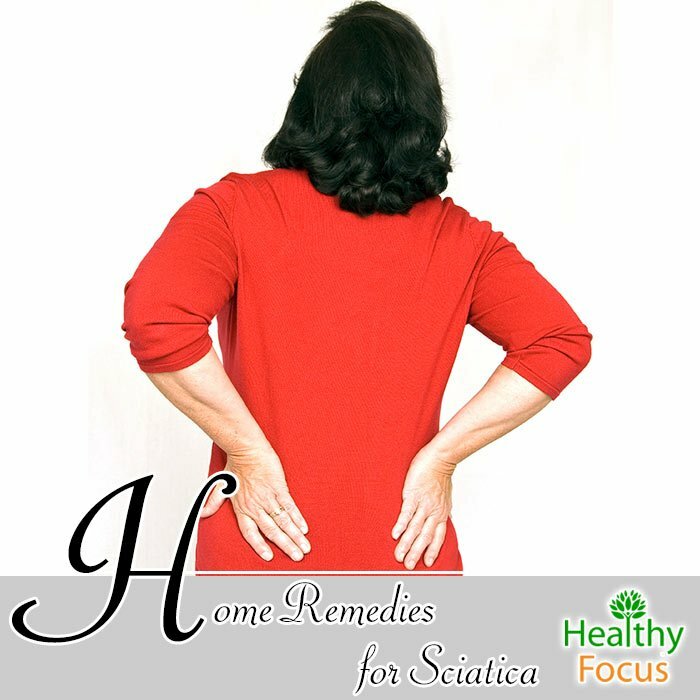 Acute Sciatica: People with acute or short term sciatica do not usually require medical treatment. Over the counter pain killers as well as other at home treatments can help relieve symptoms. This form of sciatica normally clears up within 4 to 8 weeks. Chronic sciatica: Chronic sciatica refers to long term symptoms lasting 8 weeks or longer It may require professional treatment such as physiotherapy but in rare cases may require surgery. While sciatica may be caused by a variety of conditions, the vast majority of cases are caused by a slipped or herniated disk. In fact estimates suggest that as many as 90% of sciatica cases are due to this reason. Herniated disks occur when one of the disk which cushion the vertebrae is pushed into the wrong place. This puts pressure on a person’s sciatic nerve. Other causes include tumors in the spine, lumbar spinal stenosis, spondylolisthesis, spinal infections and spine injuries. For people with sciatica, the most common symptom is a sharp, shooting pain somewhere along the nerve. This can be felt anywhere from the lower back region down to the back of the legs. The severity of the pain can vary and tends to get aggravated by long periods of sitting down. Other common symptoms are numbness in your leg or part pf the legs and a tingling sensation in your feet or toes. A lot of people will turn to pain killers to help them through their symptoms while in some cases, patients may choose to undergo surgery. Fortunately, there are plenty of excellent treatments that you can carry out at home which are far less invasive and may well be equally as effective. Many people suffering with sciatica find that their pain is aggravated by long periods of inactivity. Sitting in place for extended periods of time or standing for too long can have a very bad effect and can make the pain worse. Making sure that you do the right types of movement can do a lot to ease the pain of sciatica. Exercises that involve stretching can help lengthen the spine and ease the symptoms. Simple stretching exercises are great while there are many simple yoga poses that can really help. Studies have demonstrated that yoga is a very safe and effective method of improving sciatic pain so long as it is done properly. Yoga can help build strength in the muscles and relax areas that are stiff. Stretching exercises are often recommended to patients recovering from surgery or dealing with back pain like sciatica. Treatment for herniated disks depends on the type of rupture and just how much nerve pain they cause. Certain types of disc ruptures like sequestration or extrusion disc bulges tend to be far more severe and painful than prolapse disc ruptures. Once the type of rupture has been diagnosed, a chiropractor can help realign the discs and prevent further protrusion while targeting the specific cause of pain. Treatment of this kind by a qualified chiropractor is far less invasive than surgery and in many cases proves to be equally as effective. Massage is a great treatment for relieving the pain from sciatica. Massage therapy is a holistic, non invasive treatment that can help improve the flow of blood and ease pain significantly. Not only can a good massage help ease your symptoms but it has also been linked with an increase in feel good brain chemicals like the release of endorphin which also helps relieve pain. While any type of massage by a qualified masseuse will help ease your pain, the benefits of your massage will be increases significantly if you use a suitable essential oil. Make sure that you dilute your chosen oil with a suitable carrier oil like sweet almond or coconut oil before applying it to your body. Essential oils are extremely powerful and must be diluted well to avoid allergic reaction. You can also add 10 drops or so of your essential oils to the bathtub and let the goodness soak through your body. Most people will know that acupuncture is a traditional Chinese practice based on improving the body’s natural energy flow. The practice involves placing very small and almost painless needles into the body to target specific conditions. While many people still do nit have full faith in the treatment, the FDA has approved of acupuncture to treat back pain such as sciatica. Studies also lend support to its effectiveness showing that it can help relieve chronic pain of various kinds. Many sufferers find that their pain can be eased by applying heat. Heat pads are a relatively cheap and convenient treatment option that you can carry out yourself at home. Simply placing a heating pad on a medium to low heat setting against the lower back region each day can make a huge difference. You can do this several times each day whether you are at home or at work. As well as heating pads, you can also add heat to your body by taking a nice warm bath. This helps to loosen the tight muscles while also improving circulation. While many people find great relief from heat, some get more benefits from the opposite temperatures. Applying cold to the back with an ice pack can do the job for many people suffering with sciatic pain. Try applying an ice pack for 20 minutes or so every couple of hours throughout the day. As we have already mentioned, inactivity can aggravate and worsen the pain of sciatica. Sitting on the couch for hours on end or sitting at your desk in the office can make matters considerably worse. Making sure you get up and stretch regularly is important to loosen the muscles and relieve pain and inflammation.